Great sounding and looking gear for meetings and events. Pickup from one of our offices, and we'll give you step-by-step instructions. Or have it delivered by a friendly, professional Avista AV tech. Don't know where to start? Call us and one of our rental specialists will help you get the right gear for your event. We carry a broad selection of audio visual rental equipment, perfect for business meetings & consumer events. If you are an event professional and require higher-end, large production subrentals, contact us as many of our large event equipment (ie., 10K+ projectors, Digital Mixers) are not listed here. Sound system rentals from Avista are professional grade, yet affordable. Whether you have are addressing an audience of 25 in a meeting room, or a group of 200 outside, or an audience of 1,000 in a ballroom, Avista has you covered. Do-it-yourself equipment is simple to operate for smaller groups. 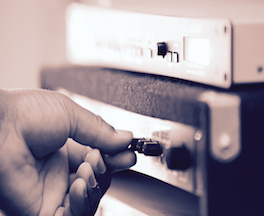 For larger setups, use Avista's expert audio technicians for full service delivery, setup and operation. 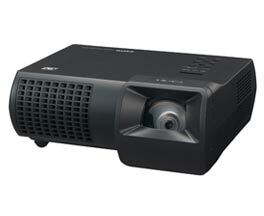 Leading brand high quality projector rentals up to 10,000 lumens, perfect for powerpoint presentations and videos. Tripod and fast-fold screen rentals up to 12'. Avista lighting rentals are easy way to add polish to a meeting or event. We stock everything from stage lighting, to washes, to LED uplights, DJ dance floor lights, and gobo's. For out-of-town producers or production companies, Avista meticulously maintains a selection of pro audio gear rentals, pro video gear rentals, and other essential items to produce a meeting or conference in California. Please note that all rentals are day or week rentals, and weekend policy does not apply. Great gear is just the beginning - we want to ensure that your event is a success, so back our rentals with great support. We constantly research the best equipment for our customers, focusing on high quality sound or visuals, and ease-of-use. If we don't see what we like on the market, we put it together, such as our popular karaoke systems, outdoor movies systems, and iPlay Sound Systems. We understand how important your event is: our gear is thoroughly tested when returned by customers, following a defined checklist for each piece of equipment. The same gear is tested once again before going out again. 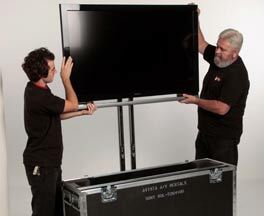 If you are picking up your AV rental, we will give you step-by-step instructions, and even help you load your car. Forget where that cable goes? Call up 24/7 and we can help get you back on the right path. If you prefer, Avista will deliver, setup and operate your rental for you. Focus on the rest of your event and leave the AV to us. Delivery and setup is extra, and depends on your event location. Call us now for a quick quote.